TIP: Blend 1 cup of the vegetable mixture plus your pan drippings to make a base for your gravy. The roasted vegetables will add extra flavor and body. 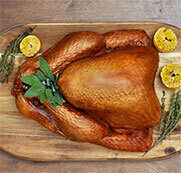 Rub the outside of the turkey with oil, salt, pepper and sage. Rub the inside with oil, salt, pepper and ground sage. Stuff the cavity loosely with the sage, apple pieces and shallots. Roughly chop the onions, carrots and celery. Place in the roasting pan. Add the turkey to the roasting pan and set over the vegetables. Add the broth. 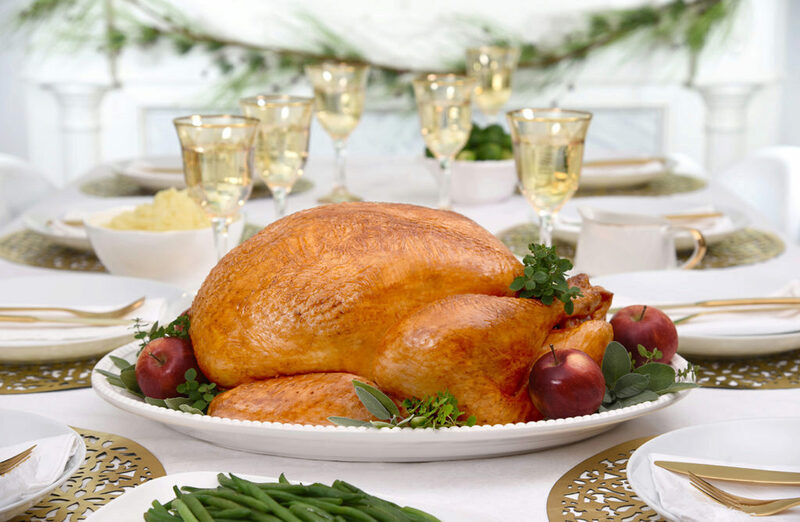 Roast the turkey for 3 3/4 – 4 ½ hours, until the juices run clear and an instant thermometer reads 180°F (82°C) in the thickest part of the thigh.